Red Thunder Roders will be on display from 8am on Saturday the 26th May. Mixing it with these Kool Kats is sure to inspire any would be petrol head. What better way to demonstrate the passion of these folk, than to mix them up with Warbirds, Classic Aircraft, Pinup's, Military Re-enactors and more. All celebrating a unique moment in history. 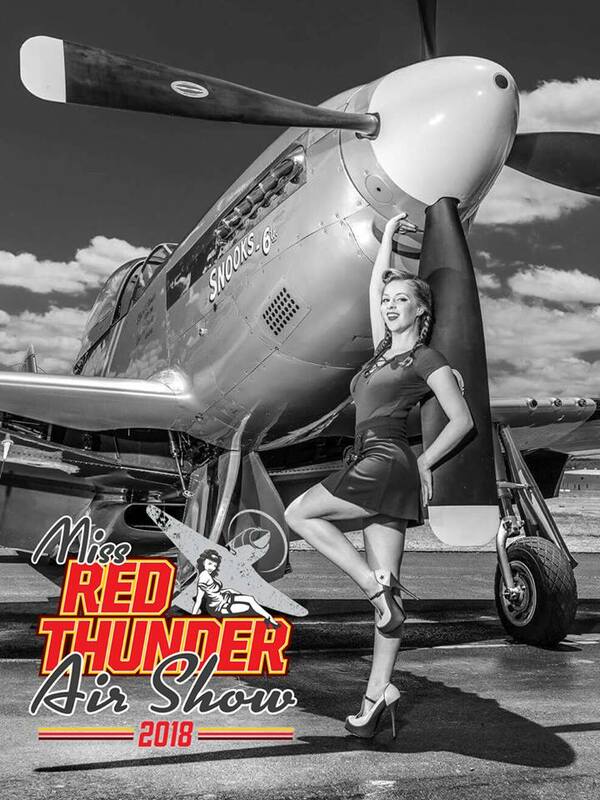 Entrants are invited for the inaugural Miss Red Thunder Airshow Pinup Parade. The parade is a highlight of the upcoming Red Thunder Airshow, which showcases vintage aircraft, war birds, aerobatic displays, skydiving and vintage military displays. You’ll also see hot rods, rockabilly bands, markets, food trucks, a licensed bar and there’s even on-site camping over the weekend. The Red Thunder Airshow is being held on the weekend of May 26 and 27 at Watts Bridge Memorial Airfield, Cressbrook in the beautiful Brisbane Valley, 90 minutes north-west of Brisbane (it's near Esk). The Miss Red Thunder Pinup Parade is being held on Sunday May 27 at noon and will be presented by Australia’s Hostess with the Mostess, Bettie Butcher. - Your contacts and suburb. Pinups selected to take part in the parade on the day will be advised prior to the event. The parade will feature one outfit only and an aviation theme is welcome but not essential. You must be over 18 to enter. All pinups will receive complimentary entry for themselves and a guest on the day of the parade! This is a rare opportunity to take part in an event celebrating the classic era of aviation and the golden age of pinups, so please submit your entries now. The Miss Red Thunder parade winner will receive a fabulous vintage aviation pinup shoot with specialist photographer Mark Greenmantle, on the day.